If we dissect these definitions, we can gain a greater understanding of account-based marketing and the benefits of this approach. Consider the laser-focusedand highly-targeted aspects of these definitions. Unlike developing personas to represent a particular demographic or role within a target market, ABM seeks to understand the unique nuances of a particular account and the contacts within that account. This demands a much higher degree of personalization than simply sprinkling the contact’s name and organization within the body of the email. To really execute ABM, you need to spend time listening to the account members and identifying what motivates and challenges them. What are the specific problems that your organization can solve for this particular account? Focusing marketing and sales resources is another key to getting ABM right, and it’s also a great benefit to the approach. To execute an ABM strategy, marketing and sales must be closely aligned. These two teams must work together to identify the specific accounts with the greatest potential and then uncover the unique needs and relationships within the account. By collaborating, sales and marketing can not only open new doors, but gain a greater reach within the account. 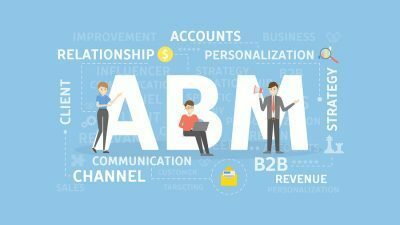 At this point, you may be asking yourself, “isn’t ABM really just good marketing?” We would agree that at its foundation, account-based marketing principles are about smart marketing practices. Working with your sales peers to target accounts, listening to your customer or prospect’s needs and delivering the right solution at the right time are marketing fundamentals. What ABM does, however, is flip the traditional marketing funnel on its head. Instead of starting out with a broad campaign in an attempt to attract interested accounts, then nurture the leads and identify accounts for sales follow up, the ABM funnel starts by identifying the accounts most likely to buy and/or grow. Gather sufficient information on your accounts. Beyond the contact names and titles, what do you really know about the account? You’ll need to spend time doing relevant research to fill in any gaps. Think “ideal customer profile” versus buyer persona. While the concepts are similar, to build the ideal customer profile you will be identifying characteristics of an ideal account. This includes things like firmographics (e.g., number of employees, industry, annual revenue, location, etc.) and an analysis of your key accounts (those current customers that bring in 80% of your business) to highlight the common attributes of ideal accounts. Forge a good relationship with your sales team.This means having open, honest conversations about the accounts and how you will be working together to “land and expand” the accounts. Focus on the overall customer experience.Since ABM fosters engagement through highly personalized content, don’t revert to a standard form or have the account jump through other common inbound marketing hoops. Instead, leverage the technological tools available to continue with a customized experience that reflects you have been listening and understand the account’s needs. Keep on the journey. Once an account has become a customer, you need to continue cultivating the relationship to ensure you are maximizing the value for both of you. GrowthMode Marketing has leveraged ABM strategies to help clients acquire and grow accounts into long-term, mutually beneficial partnerships. We’d be happy to work with your team to use this proven B2B marketing strategy. Contact ustoday to learn how we can help your organization.